Did Bradley shoot himself in the foot? By John F. McKenna (McJack): When new World Boxing Organization (WBO) welterweight champion Timothy Bradley (29-0-1, 12 KO’s) took the title away from former welterweight champion Manny Pacquiao (54-4-2, 38 KO’s) last June it was assumed that Manny would exercise the rematch clause in his contract and seek to get his title back from “Desert Storm”. However the loss Pacquiao suffered at the MGM Grand Arena had more to do with the officials judging the fight then anything Bradley did inside the squared circle. There have been numerous articles written about the injustice that took place which relieved “Pacman” of his WBO title belt. To further expound on what brought about the horrendous decision on June 9 would be similar to the beating of a dead horse. Boxing fans do not need to be inundated, by still more articles surrounding the decision. Boxing fans have already formed their own decisions as to who won the fight. 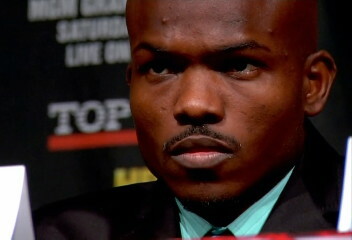 Obviously there has been no major clamor by boxing fans to see Pacquiao – Bradley II. If there had been such a clamor a rematch in all probability would already have been signed for early November. Bradley’s problems began almost immediately after the bell was sounded ending the fight with Pacquiao. He allegedly told Top Rank CEO Bob Arum that he did the best he could but could not handle Manny. “Desert Storm” had the look of a defeated fighter in the final rounds. But once Bradley realized he had won the fight he began pretending that he thought he had really won the match. That did not set well with boxing pundits, most of whom had only given Timothy no more than two or three rounds. Bradley made matters worse for himself in the weeks that followed by claiming that Pacquiao was getting old and lacked movement. Of course some of Timothy’s comments to the press may have been an attempt on his part to goad “Pacman” into accepting a rematch. If that was the case Bradley’s comments fell on ears that were not listening. The final straw was when Timothy started insisting that Pacquiao was avoiding a rematch with him because he was scared. What was most damaging to Bradley’s case for a rematch with Pacquiao was the low Pay Per View (PPV) numbers in their June 9 match. Reportedly the fight drew only 700,000 PPV buys, some 600,000 buys less than Pacquiao’s fight with WBO lightweight champion Juan Manuel Marquez (54-6-1, 39 KO’s) last November. Historically Bradley has never had huge drawing power. It was thought by Arum that he could pull a rabbit or two out of a hat if Bradley was matched up against Pacquiao, but such was not the case. Arum has a habit of saying Pacquiao has the final decision as to who he is going to fight, and that may be true. Pacquiao’s cut however would be significantly less if he faces a fighter who draws some $35 million less than another proposed fighter. The cold hard truth is that boxing is a business and just like any other business is controlled by the bottom line. Boxing » Manny Pacquiao » Did Bradley shoot himself in the foot?